Go back into the battlefields of World War II and relive historical battles in General War: Memories. 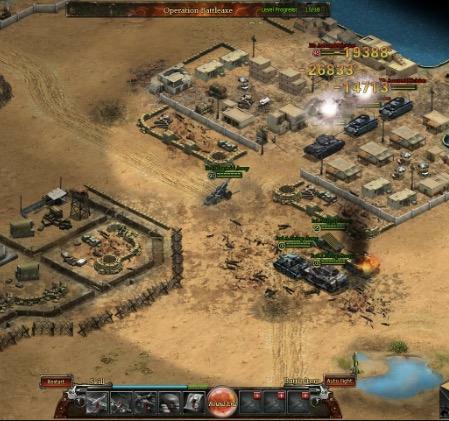 Gain access to various tanks, units, weapons, and generals, to lead your army to victory. Use different strategies to get the most out of your units and wipe your foes from the map! 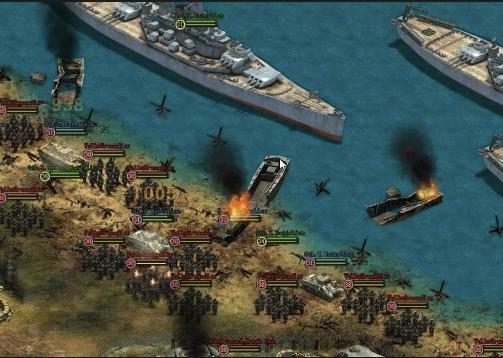 Strategy games are great fun, and General War: Memories is not an exception. 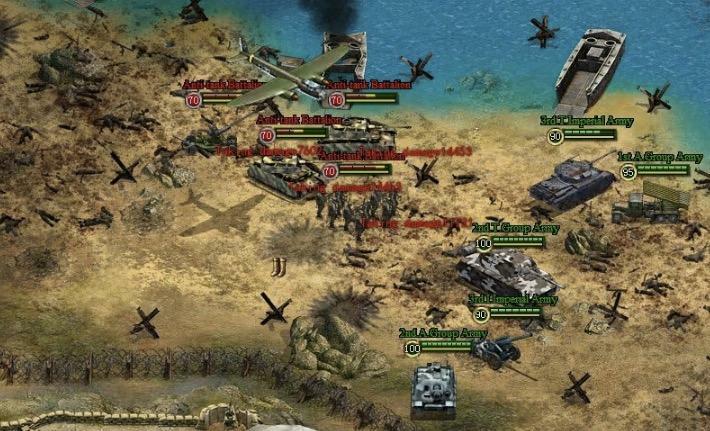 It’s a fun browser game, and it brings to life the most horrific war in history: World War II. The learning curve in the game is not over the top, and it is relatively easy to get into. Moreover, the strategic elements in the game, especially the ones in combat, is beautifully crafted and executed. If you can get past the horrendous translations and voice acting, you can go forth and enjoy the game. The first thing you get to do at General War: Memories is to choose a commander from a preset list. There are 20 commanders, 11 males and nine females. You can choose from a variety of historical figures, like Winston Churchill and Franklin Roosevelt, while the female commanders are entirely fictional and look more like pin-up models than actual heads of state. Historical accuracy is also nonexistent in the commanders’ profiles despite being based on the real-life figures. Instead of a short summary of their biography, the commanders’ profiles are occupied with ridiculously outlandish backstories. In any case, your commander choice won’t matter since they barely have any influence in the game. General War: Memories does a fantastic job in helping players learn both the basics and the intricacies of the game. The tutorial, which is a launched after you get through the initial stages, teaches you the basics of combat. You’ll have free control over your units during the course, and take note that the tutorial is long, so you will have the option to skip it. Furthermore, take note that you will also be taught the elements concerning the managing of your city, which is another exciting aspect of the game. Basically, the game has two facets: managing your city and combat. Your city is where you generate revenue and get taxes to maintain and upgrade your forces. Note that this is also where you manage your units: you can give them six stat-boosting upgrades, as well as assign generals to them. Furthermore, you can also upgrade your buildings, like your apartments and offices in order to get more revenue. Though complex, there is thankfully a structured goals system wherein you will be assigned which buildings to upgrade first in order to receive rewards. You may or may not follow what the game says. The main draw of General War: Memories is the combat system. There are three types of units, infantry, tanks, and artillery and in a nutshell, infantry is weak vs tanks, tanks are weak vs artillery, while artillery is weak vs infantry. Unfortunately, there are no naval or aerial units, which is quite disappointing. Each unit has its own set of statistics, including the hit points, movement, speed, attack, defense, and range. When you progress further into the game, you will earn special abilities and items, allowing you to conduct air strikes and other capabilities, to further give you an advantage. However, the strategic elements are a bit shallow. For example, there are no bonuses in defense if your tanks are making a full-frontal assault and in formation. In other games, if your units are in an elevated area, they’ll have a damage and accuracy bonus, whereas in General War, there isn’t any. Furthermore, the graphics are rather lackadaisical and dated, but in exchange, it helps boost the game’s performance. All in all, if you can get past the General War: Memories’ bad voice acting and shallow strategic elements, it ‘s a decent game enough to give you countless hours of immersive strategy-laced gameplay. Moreover, it has online elements which means you can play with your friends. It’s definitely a game you would want to add to your backlog and try out right away.